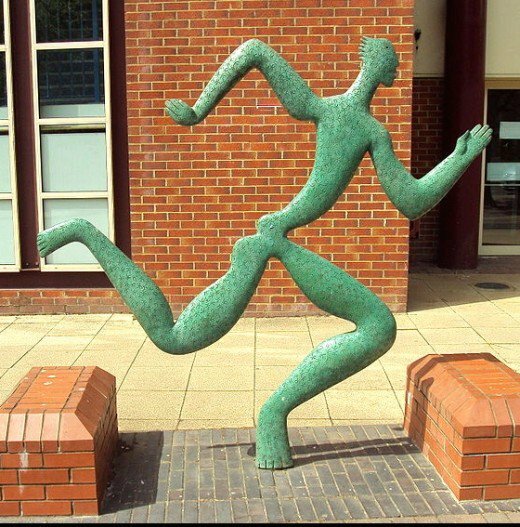 Brisk Walking versus Running or Jogging - Which is Better and Why? Walking and running are the most popular physical activities for American adults. In 20 years, the number of people calling themselves ‘runners' in the USA grew from 100,000 to 35 million. Walking is three times more popular than running as a form of regular exercise and is the most popular type of exercise throughout the world. But generally walking rates have declined steadily over the last several decades. For example, fewer children and adults now walk to work or school than they did 50 years ago. However, more people are adopting brisk walking as an exercise to keep fit and help lose or control their weight. Running is generally more strenuous, because the pace is generally faster. Running should be better for improving heart health and overall fitness, but is this really the case compared with brisk walking? Walking at 100-120 steps per minute (brisk walking pace) can increase heart rates to 100 beats per minute, which is similar to jogging or slow running (heart rate 120-130 beats per minute). Both these heart rates are within the ideal training effort 50-70% of your maximum heart rate, which can be estimated roughly as 220 minus your age. Running requires more effort because your legs have to lift your body weight up against gravity, rather than gliding along when walking. Running consumes about 20% more energy than walking at the same pace. However, at speeds greater than 5 mph (12 minute mile pace; 8 kph), walking burns more calories than running. All these issues about how fast, and how far you run or walk, have made any reliable conclusion about whether walking or running us better very difficult. 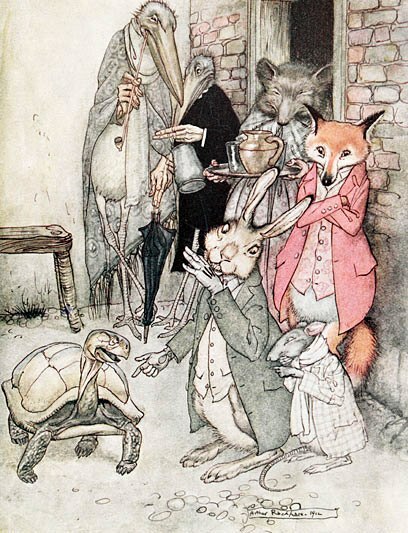 Does the Tortoise beat the Hare? This article reviews of the evidence. Does Running Consume More Energy than Walking at the Same Pace, and Why? Studies have shown that you generally burn about 5 calories for every litre of oxygen you consume while exercising. When you run at the same pace as walking you consume more oxygen because running increases your heart rate more than walking. When you run, you actually perform mini-jumps from one foot to the other. 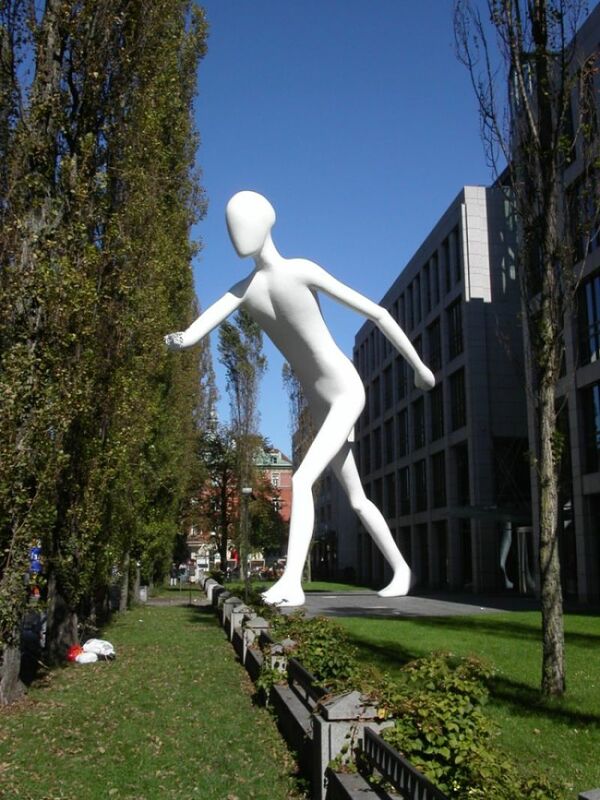 Each mini-jump means that you have to raise to your center of gravity when you take a stride. It is this lifting, which burns more energy than walking at the same pace. The table below summarizes the comparison between the energy consumed and oxygen consumption rates for a group of women in their 20’s running and walking at 7 kph. The data shows that running generally burns about 20% more calories than walking, but the differences will depend on the pace of the walking and running. However, at speeds faster than 5 mph, 12 minutes a mile pace or 8 kph, walking actually burns more calories than running. This is a very fast walking pace, and the exaggerated arm action and body swiveling required to walk that fast appears to burn more energy. Running is clearly more efficient at faster speeds, walking at slower speeds. Does Walking and Running the Same Distance, in Different Times Consume the Same Amount of Energy? This is where the Hare and the Tortoise come in. You burn less calories when exercising at a lower intensity by walking, than you do jogging or running at a faster pace. But, if you exercise for a longer period of time, or you cover a longer distance, you may burn more calories walking. It all depends on the pace and distance. Walking at 2 miles per hour, walking at 4 miles per hour, or running at 6 miles per hour may burn the same total number of calories. A 200 pound man walking one mile in 15 minutes, at a pace of 4 miles per hour would burn 113 calories. The same man, running one mile in 10 minutes, at 6 miles per hour would burn 155 calories. Strolling for 1.25 miles in 38 minutes at a pace of 2 miles per hour, would burn 113 calories, the same amount as walking one mile at a pace of 4 miles per hour. Generally walking, probably consumes about 20% less calories than running the same distance, but this difference is not huge. Briskly walking 20% further will generally mean that you will consume about the same number of calories as running the same distance at a faster. Intense exercise burns more calories per minute. If you weigh more, you will consume more calories doing the same activity. The fitter you are the fewer calories you burn doing the same activity. The more intense the activity the more efficient will the workout be. You can increase your burn rate when walking by climbing hills or steps. Combining walking and running and doing interval training also helps you get fitter faster and get more benefit from your limited training times. You can calculate the amount of energy consumed running and walking for various distances using the formulae in the table below. The 'extra calories' are those consumed doing the exercise itself, over and above the basal metabolic rate. The number of running related injuries has been increasing as the number of runners has increased. Injuries include shin splints, heel spurs,‭ ‬stress fractures,‭ ‬and problems with knees and ankles.‭ ‬Walking is rarely associated with physical injury. Many runners switch to walking later in life due to a build up of injuries from running, particularly due to knee problems. Someone who walks for 90 minutes may get the same benefit as another person who runs for 30 minutes consuming the same amount of energy. Runners get ‬more done in less time, and this seems to be important in terms of how long people keep to an exercise routine.‭ But the outcome are similar for the same energy consumed. In terms of weight loss, major studies have shown that runners are generally thinner than walkers and the runner weights were more stable. Walkers tended to put more weight on, especially for people over the age of 50. One of the problems with these long term comparisons is that runners tend to be thinner at the start of the monitoring period and so their physiology may be different, and this may partially explain some of the findings. However these is clear evidence that running is better for weight loss and weight control. Recent studies have shown that walking is associated with a reduced risk of deaths from all causes,‭ ‬ranging from‭ ‬19‭–‬30‭ ‬per cent depending on the length and frequency of walking activities.‭ ‬The highest reduction in mortality was associated with walking‭ ‬20km per week,‭ ‬while a reduction of‭ ‬19‭ ‬per cent was associated with‭ ‬2.5‭ ‬hours of brisk walking per week (around‭ ‬12.5km,‭ ‬assuming walking at about‭ ‬5km/hour‭)‬. For example,‭ ‬a recent study of‭ almost ‬400,000‭ ‬people found that even short sessions of 15‭ ‬minutes a day of moderate exercise‭ (‬which included brisk walking‭) ‬could increase life expectancy of three years or more.‭ ‬Every additional‭ ‬15‭ ‬minutes of exercise undertaken every day reduced the all cause death rates by an additional‭ ‬4‭ ‬percent. Recent large scale studies have shown that running lower the mortality risk by 19% compared with individuals who did not run. The general observation was that longer distances, faster paces and increasing frequency of running was associated with a diminishing mortality benefit. Individuals who ran at a pace of 6-7 mph miles had 25% lower risk of all-cause mortality. Running at paces of 8 mph or more, did not significantly improve all-cause mortality. Running quotas of about 20 miles per week generally led to significantly reduced risk of death, but the largest benefit was seen for those who ran between 10 to 15 miles weekly. Provide the walking is done briskly with heart rates at 50-70% of the maximum rates and the total energy expended is similar to running, the benefits for walking and running are similar. Running takes less time, but there is more risk of minor injuries. Running appears to be better for weight control. Running consumes more energy than walking at the same pace, but the differences are not huge (about 20% extra for running). Both running and walking provide similar benefits in terms of increasing life expectancy and quality of life. For general weight loss, running beats walking, especially for people over 50. Running and walking affects appetite in different ways with walkers being hungrier just after exercising, but runners become more famished later. Both running and walking lessened the risk of cataracts, diabetes and other common illnesses. Walking appears to reduce heart disease risk more than running but both are much better than being sedentary. Pace matters for both walking and running, but most benefits appear to be gained with brisk walking and slow to moderate pace running. So you be the judge. Who wins? 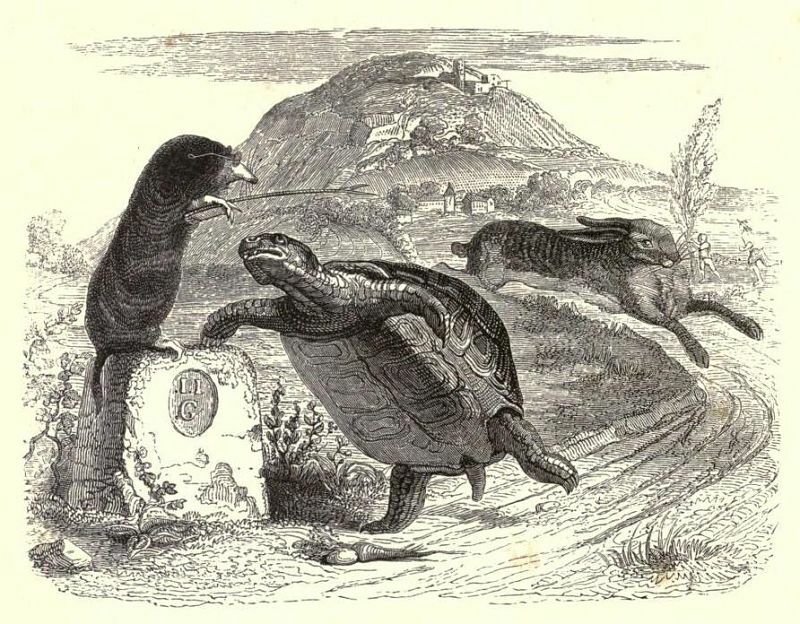 The Hare or the Tortoise?